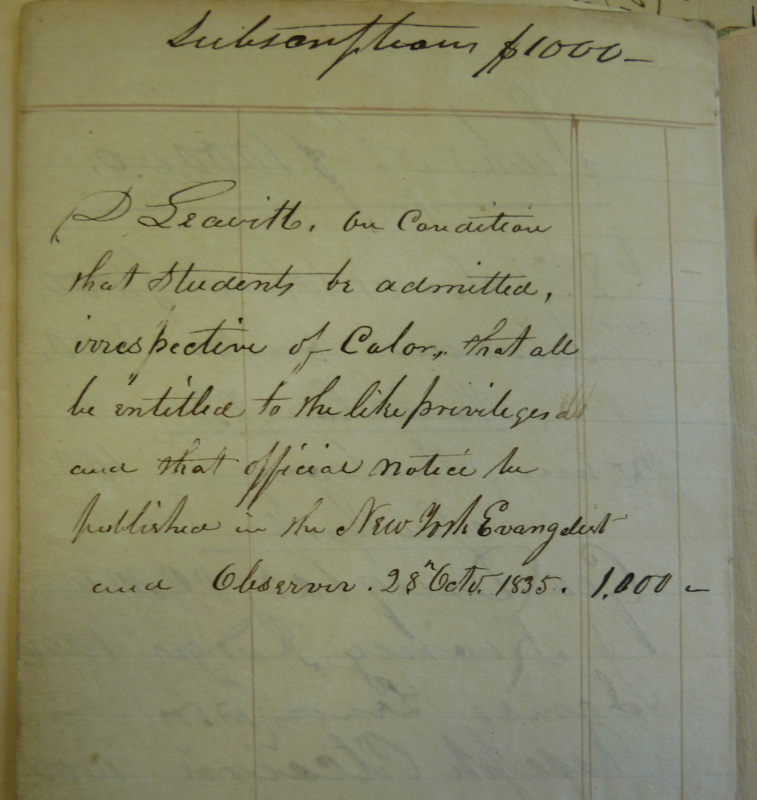 Note stating that in October 1835 David Leavitt subscribed $1,000 to Princeton on two conditions: that students be admitted to the college without regard for color, and that that Princeton’s intention to admit students on this basis be published in two New York papers. John Maclean, Jr. Papers; 1794-1935 (mostly 1852-1880), Princeton University Archives, Department of Rare Books and Special Collections, Princeton University Library. D Leavitt, on condition that students be admitted, irrespective of Color, that all be entitled to the like privileges and that official notice be published in the New York Evangelist and Observer.